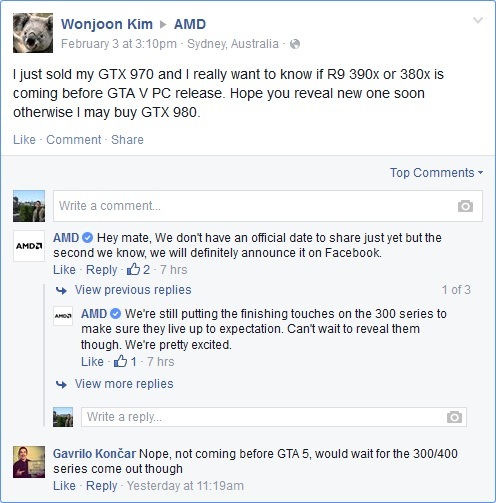 AMD has announced via a reply to a fan on Facebook that the company is “putting the finishing touches” on the Radeon 300 series. 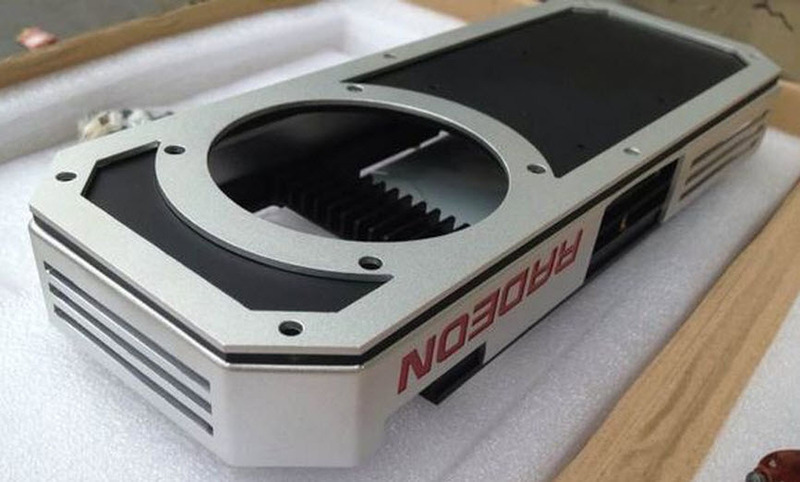 This coincides with earlier reports which claimed that AMD has allegedly completed the certification process for a new graphics board for the company’s upcoming Fiji XT GPU. The fact that the new AMD Radeon R 300 series may be coming fairly soon would explain why AMD’s add-in board partners (AIBs) are pinning their hopes on the new graphics cards for a rebound in the upcoming months. It’s been 16 months since the last Radeon R 200 series graphics cards were officially introduced at the GPU14 event which took place in Hawaii on September 25th, 2013. A full Radeon series graphics refresh would then make perfect sense to revitalize and reignite competition in this popular market segment for AMD. Dr. Lisa Su, AMD’s CEO had announced last month that the company is planning to roll-out a graphics refresh in the second quarter of this year. We’re only a month away from the first month of the second quarter and we’re already seeing a lot of reports popping up about the R9 300 series. Some online retailers went as far as to actually list R9 390X, 380X and 370X graphics cards on their websites just a week ago. 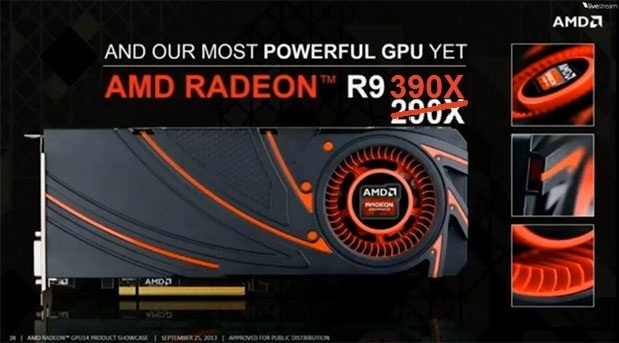 A lot of reports have surfaced of various AMD GPUs which should be featured in the 300 series. These include AMD’s upcoming Fiji XT GPU which will reportedly feature a cutting edge stacked memory technology co developed by AMD and SK Hynix called HBM. The new memory standard promises to be significantly more power efficient than traditional GDDR5 and up to 9 times faster. Leaked specifications for the GPU indicate that it will feature 4096 GCN stream processors and a 4096bit wide-IO memory interface. Fiji XT is also rumored to be the first ever single GPU to come with liquid cooling as standard. In addition to Fiji XT we’ve also heard whispers of AMD working on a faster version of the Hawaii GPU inside AMD’s R9 295X2, 290X and 290 cards. And finally there’s a new GPU code named Trinidad which will reportedly replace AMD’s R9 270 series in the $200 price point which is rumored to be coming within the next couple of months. The updated GCN 1.2 architecture in the new R 300 series is rumored feature tiled resources. A technology that’s well known and established in the mobile GPU market. The feature enables significant improvements in reducing both power consumption and memory utilization.